Otherwise known as pay-as-you-earn tax, the logistics of filing PAYE have changed in recent times. This is obviously quite important from a HMRC point of view in order to not become liable for penalties or fines. One of the most significant modifications that has taken place since April of 2013 is what is known as real-time reporting for this tax. This may have also been seen abbreviated as RTI (real-time information). In most cases, employers will now be required to report this tax in real-time; in other words, payroll software will need to be used every time an employee is paid. So, let us briefly look at some of the most important metrics behind this modification and some of the benefits that are now able to be experienced. Any RTI-enabled software can be used to submit these forms online to the HMRC. Also there are basic PAYE tools to be found on the HMRC website (if applicable). This option can be used with companies who have nine or less employees. All information will be sent using the Government Gateway (the online source for all UK governmental services). If a company uses commercial software, there is the possibility to utilise the electronic Data Interchange (EDI). This is designed for companies that contain a large number of employees. It is important to determine as to whether current payroll software will support this interface. Reporting a change to the HMRC remains the same as in the past. All Payment dates are the same. The reporting of benefits and expenses is the same (employers will still utilise forms P9D, P11D and P11D[b]). The CIS (construction industry scheme). Monthly reports (CIS300) are still due as per the past and all of the stipulations involved with CIS reporting remain unchanged. What Changes Have Taken Place? New employee information (forms including P45 Part 3, P46, P46 (pen) and P46 (expat). These options may still be visible on the online menu, but they cannot be sent. What Other Details May Be Required? An NVR (in order to obtain a National Insurance number for new employees). An NVR cannot be sent until after PAYE information has begun to be sent through in real time. An EYU (to correct totals submitted in the previous year’s FPS. This only needs to be done after information has begun being sent in real time). An EYU can only be used from the 2012-13 period onwards. It is essential that all employee details are accurate and up-to-date. The information that is needed will be the employee’s name, address, National Insurance number, date of birth and gender. These should obviously be verified against a passport, birth certificate or official HMRC documentation. This will expedite the entire real-time PAYE process. The correct amount of NIC and income tax will be paid, information can be correctly matched against current HMRC data and the number of queries sent from the HMRC will be vastly reduced. These are some of the most important details associated with PAYE in real time. 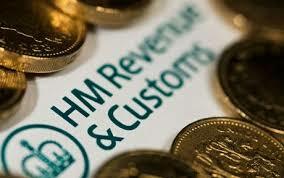 For further details, it is always wise to visit the HMRC website to learn more.